If you like this article, please Pin this image ? It’s not about how much you make. I have met people making $40,000 per year who retired by 35, and I have also met people making $400,000 per year who have no significant assets to speak of and will likely be working until they’re 60 just to have a comfortable retirement. More than what kind of income you bring in, your net worth — and its growth over time — is the single most significant part of your financial picture. 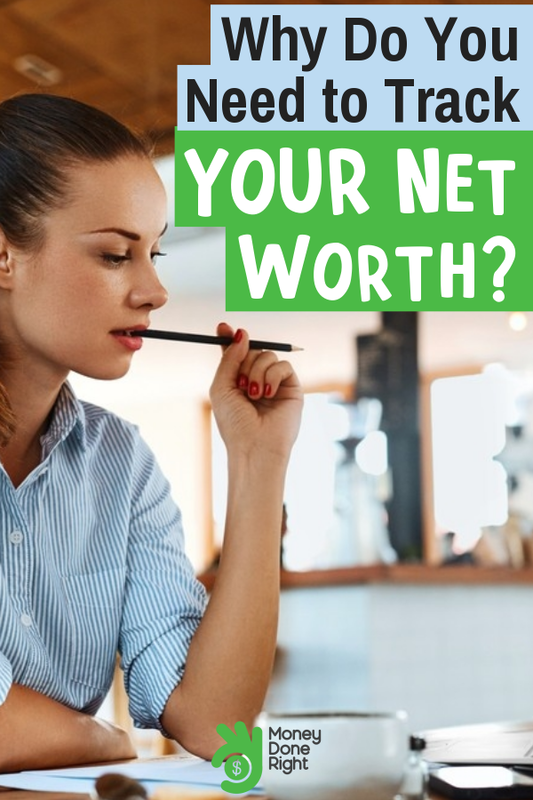 Once you get going in your career and start making serious money, it can be tempting to think that you don’t have to worry about tracking your net worth. Wrong. Look at professional athletes. Some of these individuals make more in a year than you and I will make in our lifetimes. But look how many of them end up poorer than you and I will ever be in our lifetimes. What good was all that “making” without any of the “keeping”? Not much. If it can happen to someone making $18,000,000 per year, what makes you think it can’t happen to you? Make your money work for you, which can either mean investing to grow your assets or paying off debt to decrease your liabilities. Both ways are great, but the first one takes significantly more of your time than the second one. Early on in life, you will likely need to put more energy into making more money so that you have the money to put to work for you. But as you hopefully live below your means, you will have excess money every week, month, or year that you can put to work for you so that you can increase your net worth exponentially. Add up all your assets: your undeposited cash, the value of any real estate you own, the value of any bank or investment accounts you have, etc. Add up all your liabilities: your credit card balances, your mortgages, any money you’ve borrowed from somebody else, etc. Subtract #2. from #1. Voila! This is your net worth. I recommend going through this process at least monthly so that you can track your growth on a reasonably frequent basis. If your net worth decreased from one month to another, ask yourself, “Why? Did I make a big purchase? Did I not make as much money as I usually do?” Make it your goal to have a greater net worth each month than it was the month before.